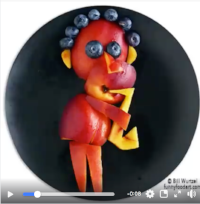 Not only is Bill Wurtzel a fine jazz guitarist he and his wife Claire are authors of Funny Food and Funny Food Made Easy. Beetnik - Dizzy Gillespe singing Salt Peanuts on the off beet. Funny Food Made Easy shows how to have fun with healthy food. Chew Berry - Juicy solo by tenor sax legend Chu Berry. 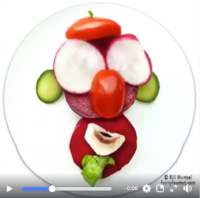 Funny Food Made Easy shows how to have fun with healthy food.